With the exception of cherry tomatoes which I think are pretty good year-round, I save buying fresh tomatoes for the summer. I am always so excited when I start seeing the first, truly ripe, tomatoes of the season. I needed more than our CSA allotment of tomatoes to make the recipe this week, so I asked if I could purchase some extra. The very nice woman helping me said they had some dark red ones back at the truck, and brought me over to get some. They were delicious. 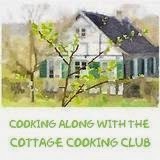 I loved them prepared in this recipe, and I'm sure I would have loved them just as much eaten plain. It's hard to go wrong with tomatoes that good. 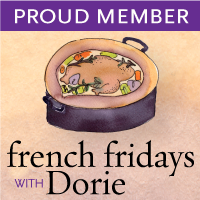 I served them with Leaf-shaped Fougasse, cheeses, salad, and beans. A fun summer dinner! Looks like a wonderful meal, Jora!!! LOVE your fougasse!!! Glad you made this one. Looks delicious! 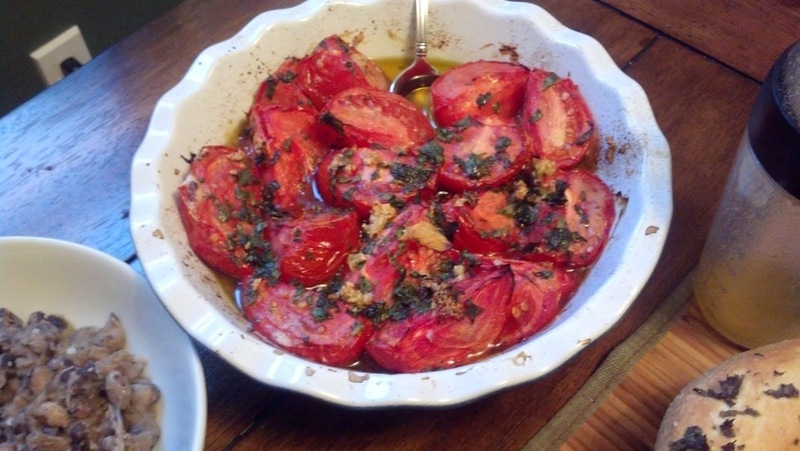 Jora, absolutely right "what´s not to like about these delicius oven-roasted tomatoes"?! Pure delight. And what a beautiful Fougasse!!! Hope you had a wonderful fourth of July! So true, the tomatoes which one finds in the winter around here are completely tasteless. I don't know why anyone bothers with them. This time of year I eat them practically every day. Looks like an amazing meal. I have not heard of a Fougasse before but I love bread so I would probably like it. We enjoyed this tomato dish also. 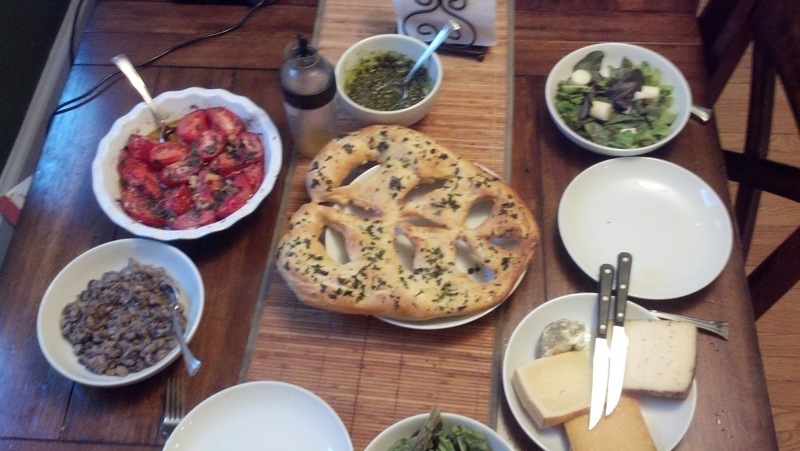 Hey, Jora, that gorgeous fougasse is a perfect compliment to the tomatoes provençal. I think those two items and a nice green leafy salad would be a great lunch or dinner on a hot summer day. Very nice Post. We had ours with the fougasse too! (Although, I didn't show it in my picture). True - off season tomatoes are just not worth it. The fougasse looks beautiful! And how lucky to get gorgeous tomatoes fresh off the truck.